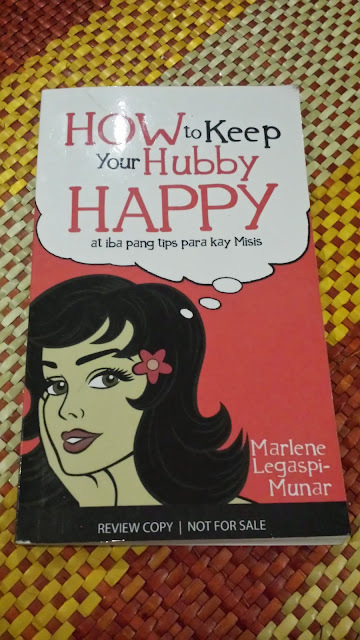 I received my review copy of How to Keep Your Hubby Happy at Iba Pang Tips Para Kay Misis from OMF last month. I became too busy that I just finished reading this book yesterday. The book is written by Marlene Legaspi-Munar in English and Filipino (commonly called Tag-Lish). This is an easy read, with less than 200 pages. The book is sold at all OMF Lit Bookshop for only ₱112.00. This is a great gift for girl friends who are about to marry and those married but having marital problems as a reminder why they got married in the first place. The book is also a good read for husbands as they will be able to read quotes from the Bible and other books that will guide to nourish and rekindle love for spouse. Overview: “Where is my happy ending?” When you were young, you had a dream wedding. From reading fairy tales, you were inspired to dream of your own “and they lived happily ever after.” But what if something different happens in real life? Your Prince Charming (now your husband) doesn’t always make you feel loved. Sometimes, you have misunderstandings. Is there a chance for you to have your own happy ending? Maybe what you need to know is how to make your hubby happy. Why not start there?